The minister, who raised her hand in front of an SABC video camera, blocking visual coverage of the rally, issued a statement saying she “sincerely regrets the incident”. “I would like to offer my sincere apology for an earlier altercation with some members of the media during the ANC provincial rally in Mount Frere while trying to stop the singing comrades,” she said. “I wish to assure the media and South Africans at large of my unreserved commitment to media freedom”. The SABC reported that Ndabeni-Abrahams put her hand in front of the camera after people stormed the venue to complain about a lack of service delivery in the area. She allegedly told the SABC journalists that they could not film the protest. 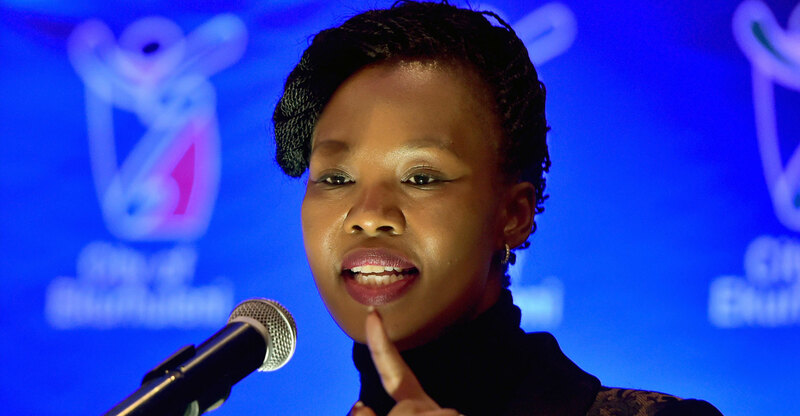 Last month, Ndabeni-Abrahams courted controversy when she slammed Vodacom on social media, telling the company to “just shut up” and “do the right thing” around the “please call me” settlement with its former employee, Nkosana Makate. The minister took to Twitter to lay into the mobile operator’s settlement with Makate, who claimed he invented the “please call me” service, which allows Vodacom customers to send a free text message requesting a call back from another party.